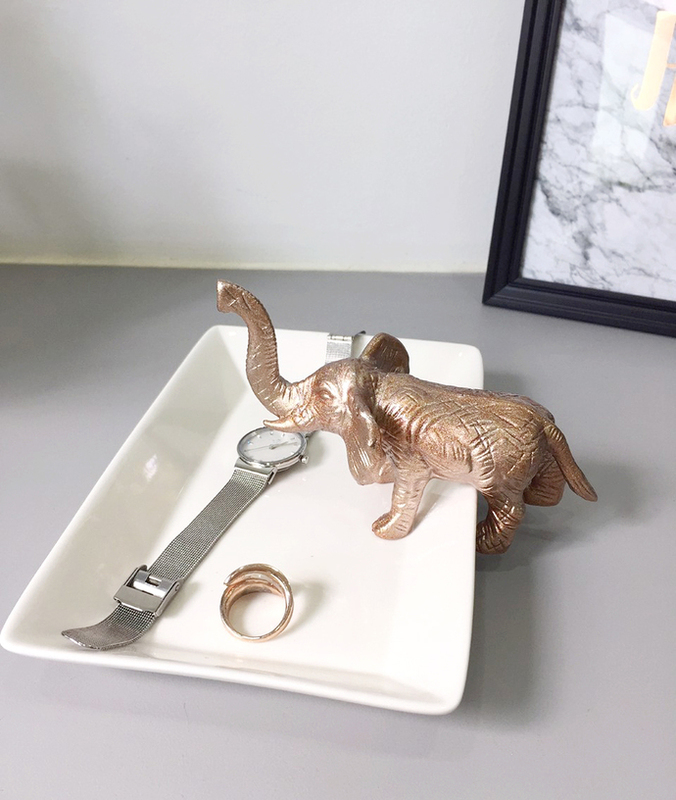 This Elephant White ceramic dish is the perfect item to hold your keys and your favorite piece of jewelry, rings and etc. 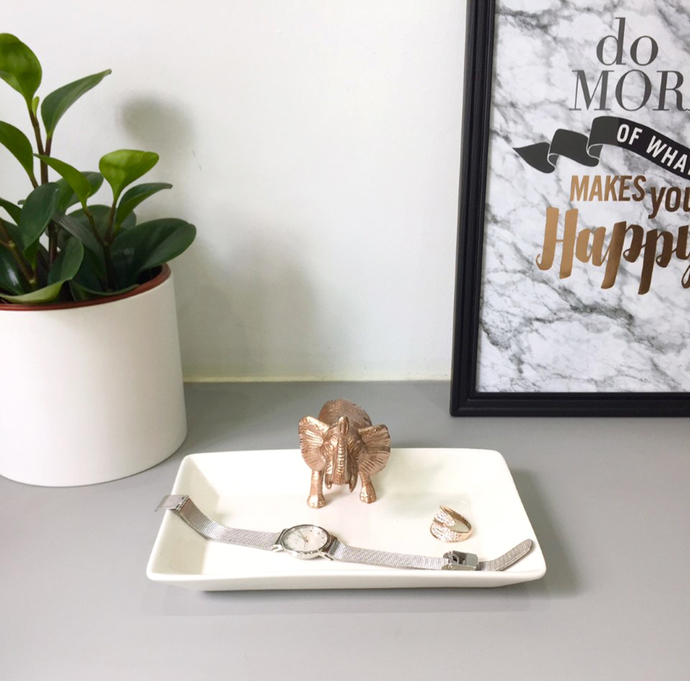 White ceramic dish measures at Length 18.5CM X Width 12CM, while the re-purposed elephant toy is paint by me in metallic Bronze with shimmers. 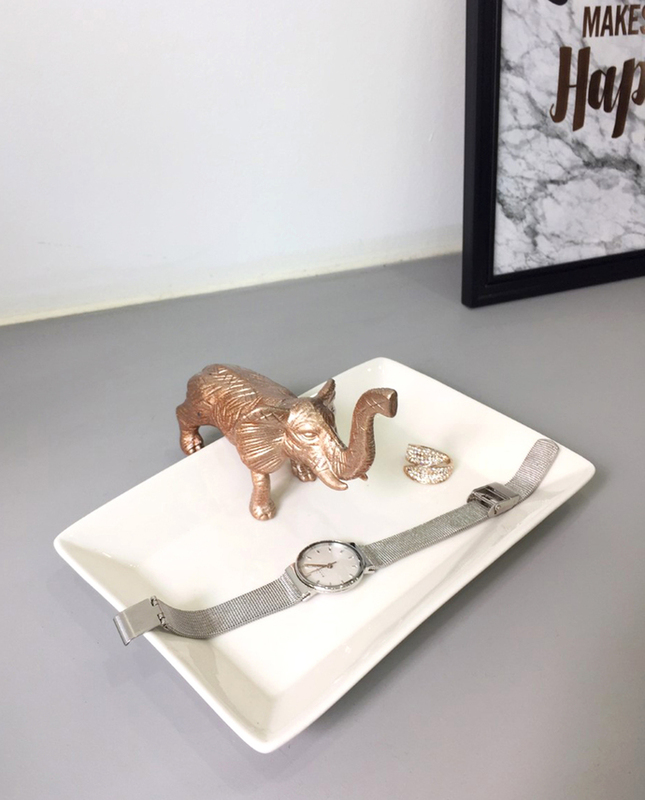 Fixed it on the dish with strong ceramic glue. 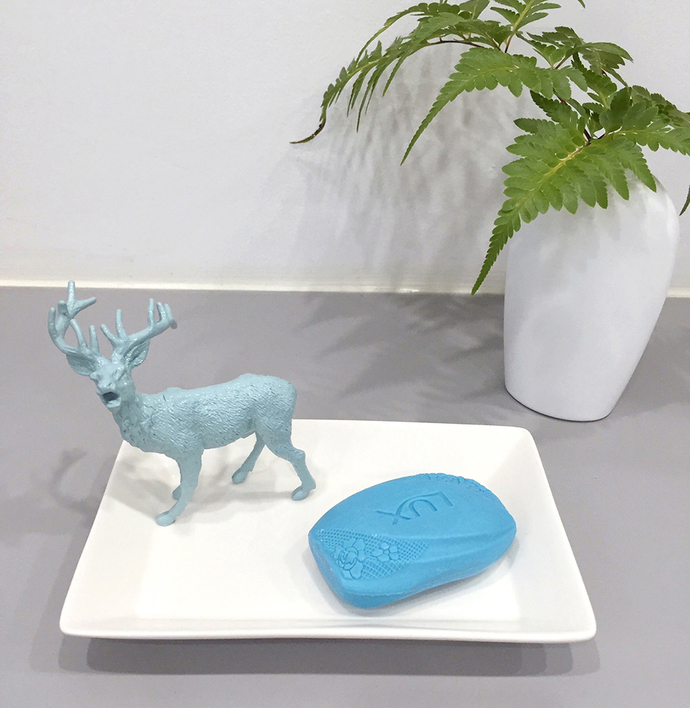 *Mint Blue Deer, Silver Owl design and White Bulldog design are available in my Shop too. *Wash in water. Avoid scrubbing on the animal.